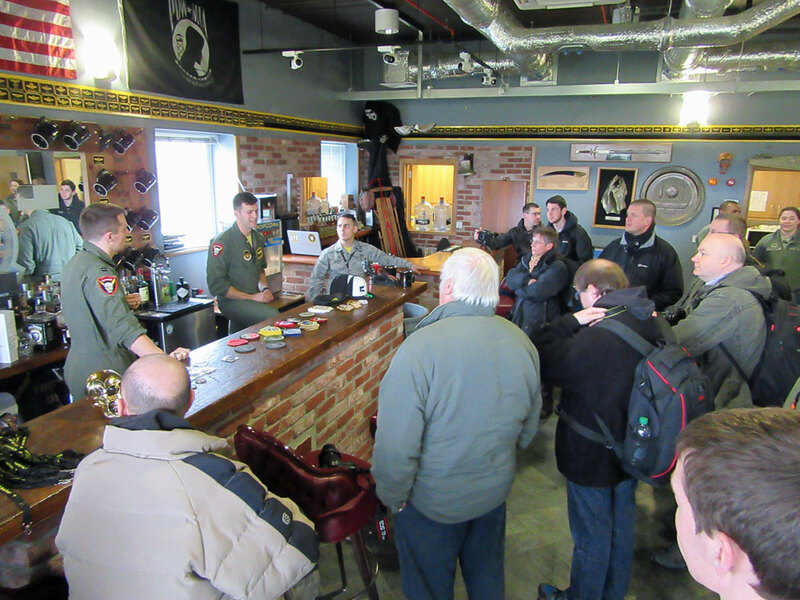 An early start saw a few of the group hit the Riverside in Mildenhall for Breakfast. The Riverside was to be the location for the evening social event so also provided free parking for the members of the tour that were partaking in the meal later that evening. 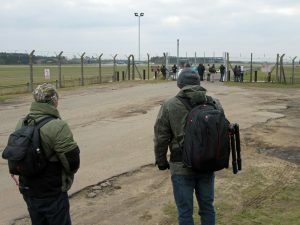 The coach was booked to leave Mildenhall bus station at 1100 for the 1130 gate entry and tour. 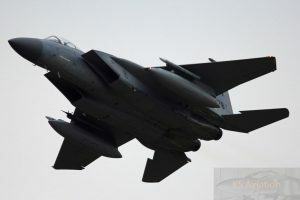 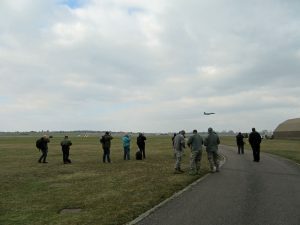 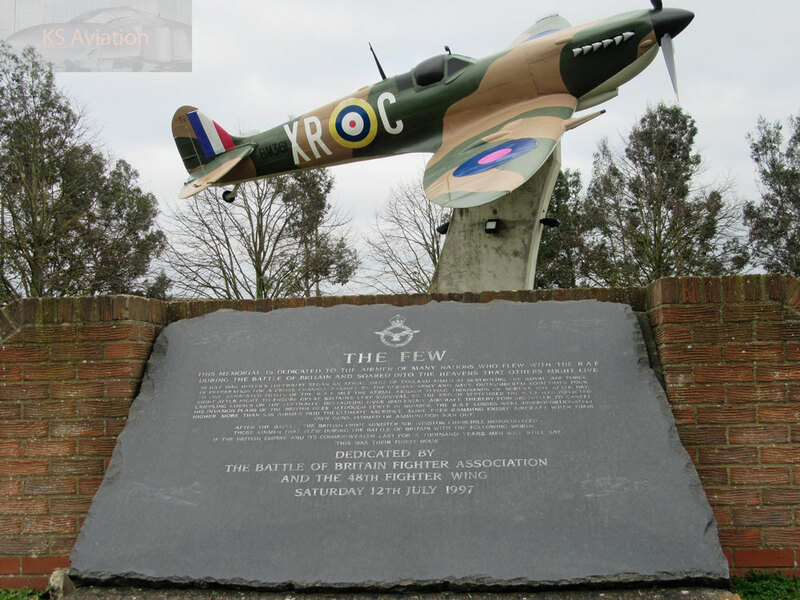 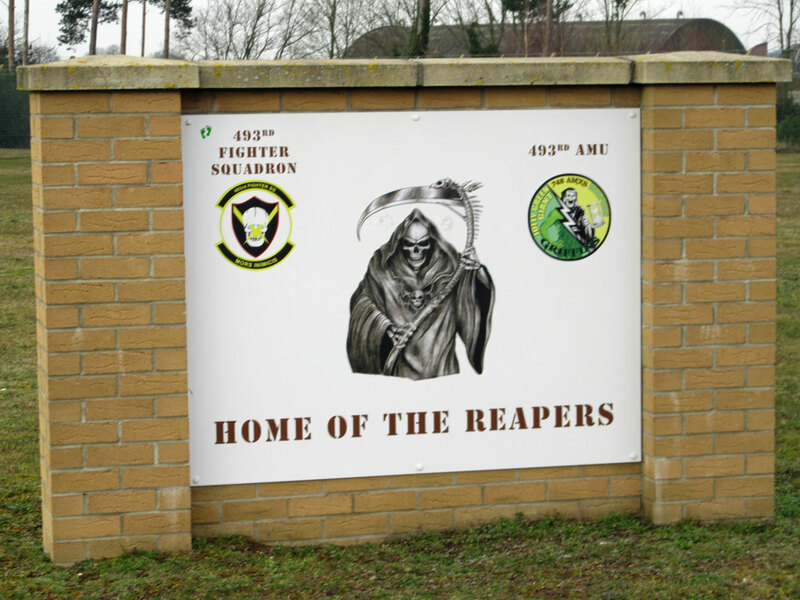 Our driver arrived early and knowing the type he had on board, offered to take the group to the Lakenheath viewing area leaving half hour early. 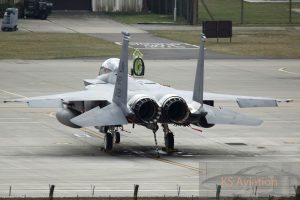 A large package of aircraft that were working with RAF Typhoons were leaving the station as we arrived, and all had the opportunity to photograph the departures of both F-15 C and E models. 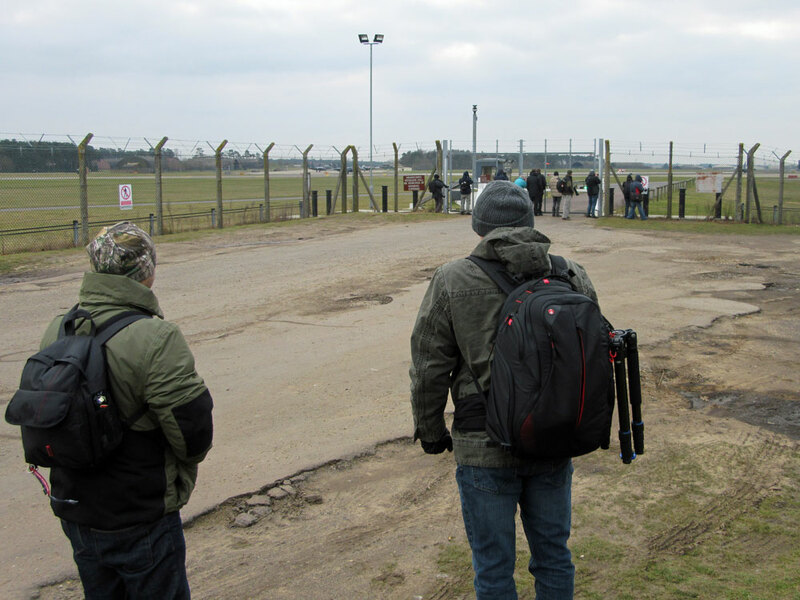 Entry into the base was smooth and the tour was split into groups to tour Weather, Radar, and the tower. 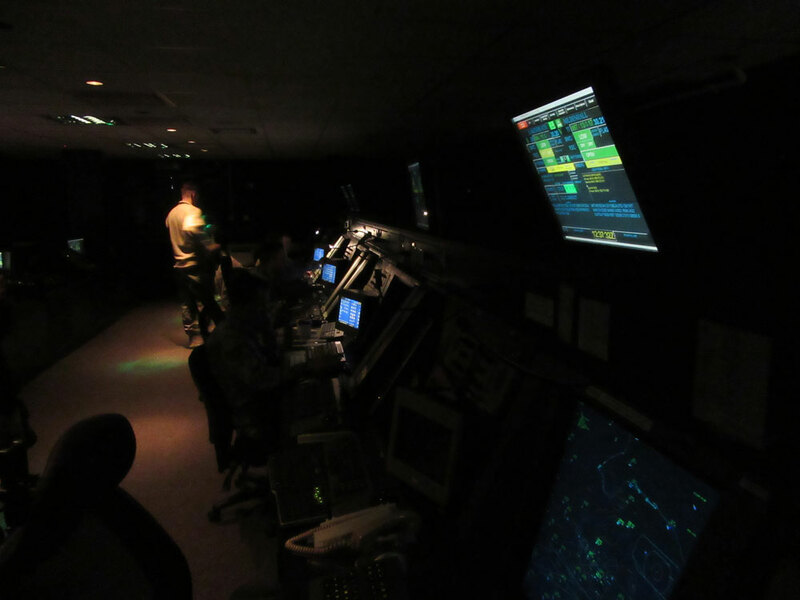 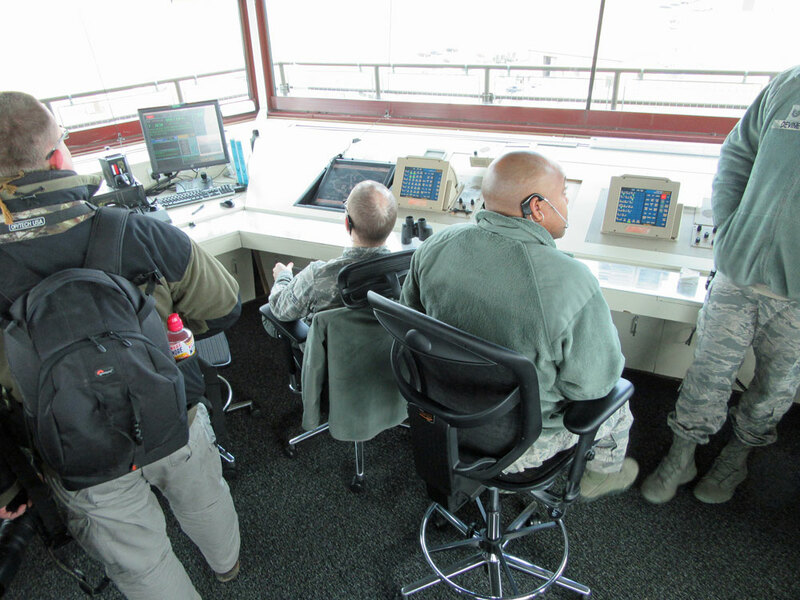 All areas were made more exciting by the fact that the package were returning, so the group saw radar plots inbound, and one of the smaller groups were up the tower when the aircraft returned in groups of three and four. Our group were down on the deck at the time, but the photo opps as the aircraft returned in clear view of the runway were magnificent. Our visit then carried on as we were hosted by the 493rd FS using their crew bar as the centre of our time with them. 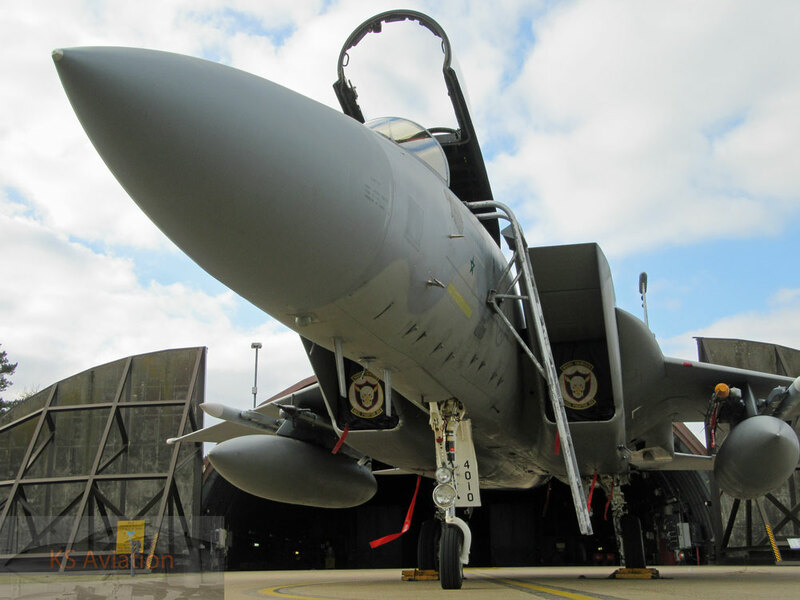 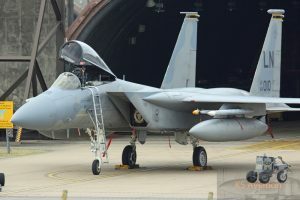 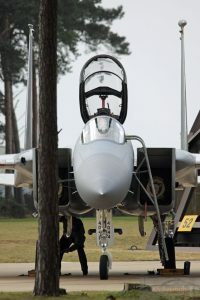 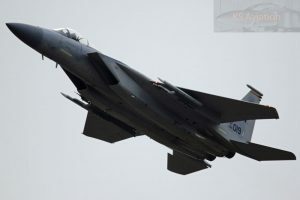 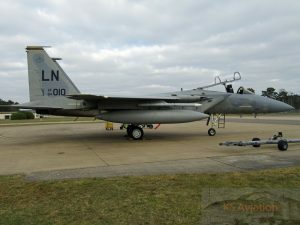 They had also provided a static F-15C for the groups viewing. This provided us all with the opportunity to get up close with an Eagle. 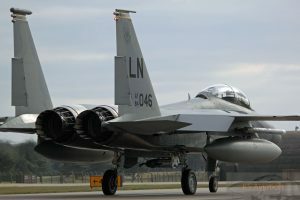 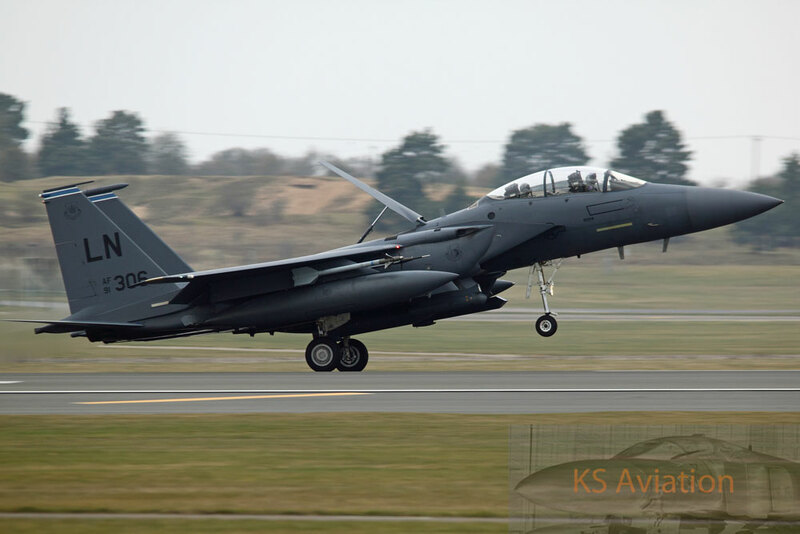 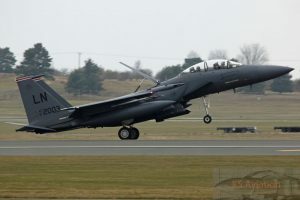 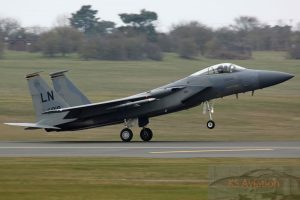 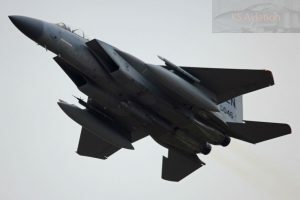 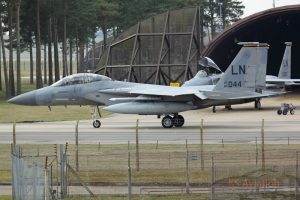 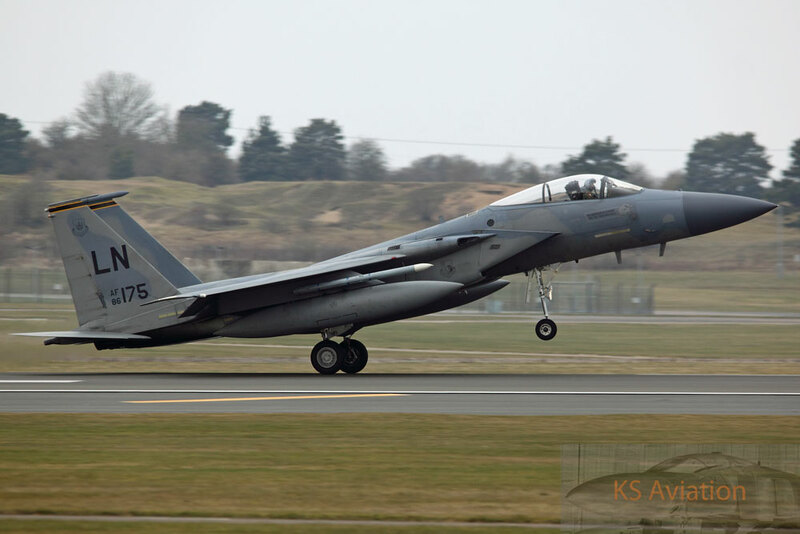 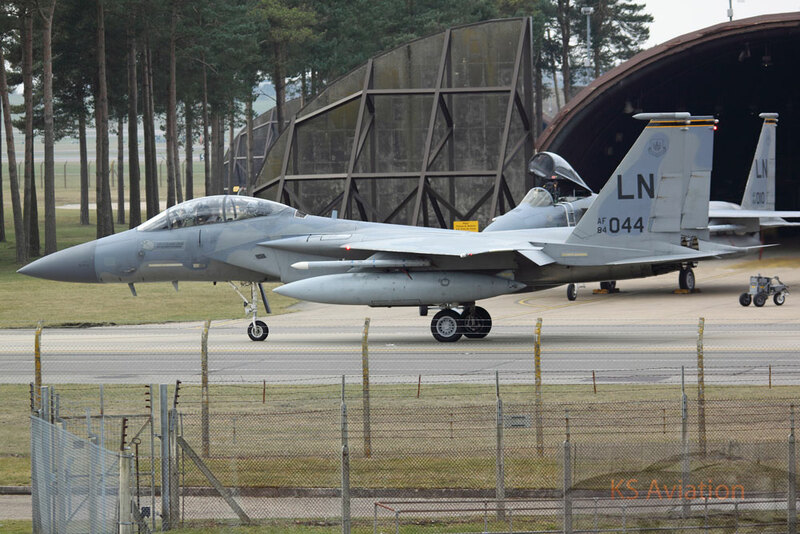 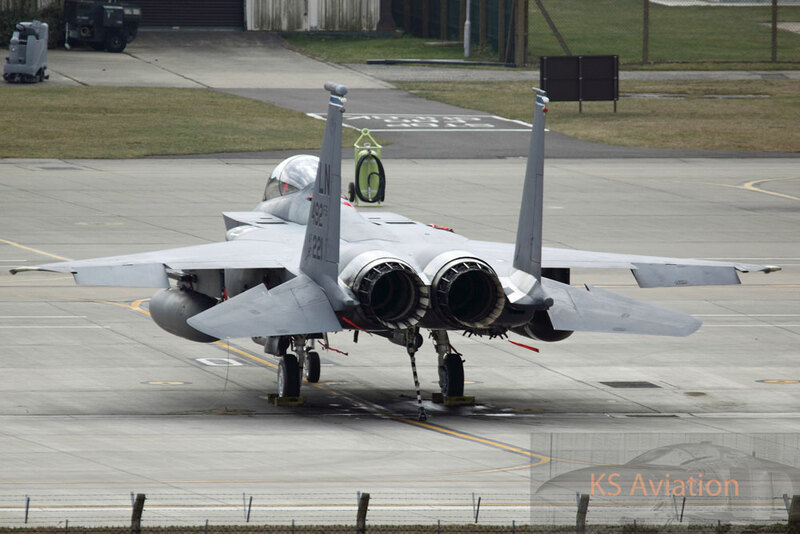 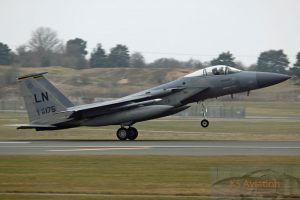 While out on the flight line an F-15 taxied out past the group and completed a high energy full afterburner departure. 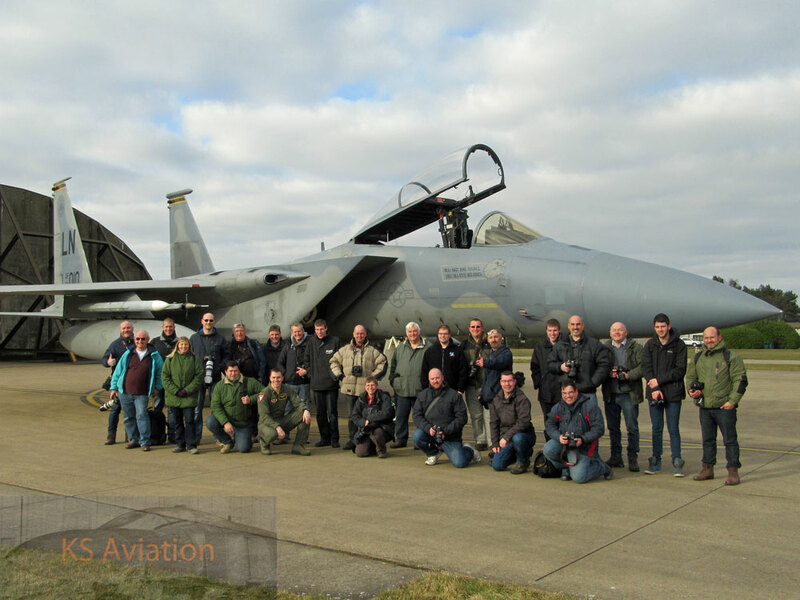 The positioning of the aircraft also presented an ideal opportunity for a KSAT group photo on what was KSA Trips first organised tour. 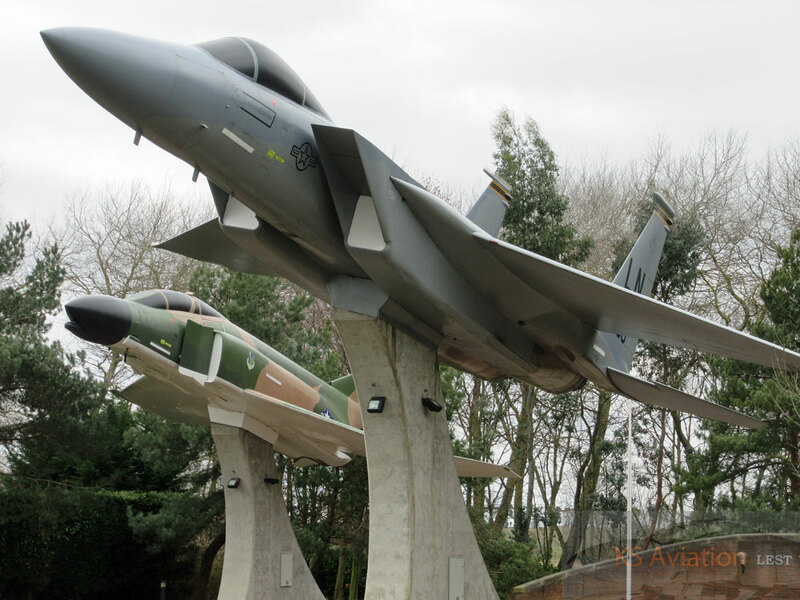 After a tour around the base taking in the key areas of day to day life on a USAF operational establishment, we were able to take in the memorial garden with static aircraft, all of which were relevant to Lakenheath. 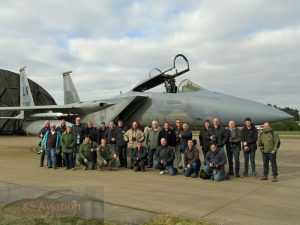 The day was a wonderful success with an evening meal at the Riverside for 12 of the party completing the day in grand style.